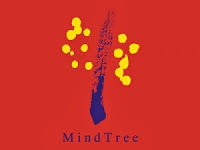 MINDTREE (1532) - Posted on 22nd Jan.2013 "Hereafter support 746-726, Above that Ultimate Upside Target 1796-1816"
The above post was posted, when it was trading at 790+ and after this post it came down to 750+ and day before yesterday it made high 1577 so still mentioned upside target of 1796-1816 is due. So within 12 months it is already doubled but still to go..
TECHM (1846) - On 14th Aug. posted here, when it was trading at 1330. " Positional upside target 1830-1850", as posted, day before yesterday (20th Dec.),it attacked 1875 so the mentioned upside target attained .